Lock in moisture and keep skin protected with our bestselling Moisturising Cream. With 3 essential ceramides to restore skin's natural barrier. For instant and long-lasting hydration. 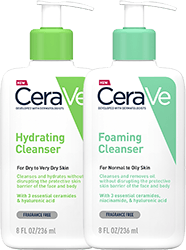 CeraVe cleansers do more than just clean your skin because they contain an exclusive combination of essential ceramides that healthy skin needs. 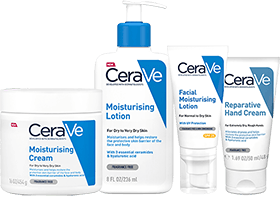 CeraVe helps replenish the ceramides skin needs.